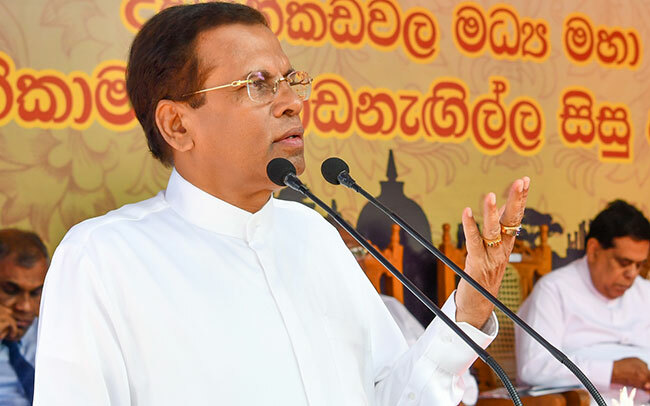 President Maithripala Sirisena says a comprehensive programme will be launched to attain balanced development in the country ,eliminating the disparities in the development of regions of the country, which has resulted due to the development that was limited to some parts of the country during the past era. The President made these remarks participating in a ceremony to open the newly constructed school building at the Diulankadawala Central College, on Wednesday (01). The inauguration ceremony of the vesting of 180 development projects, which have been completed under the “Pibidemu Polonnaruwa (Awakening of Polonnaruwa)” District Development Programme, in the public commenced at the Diulankadawala Central College.